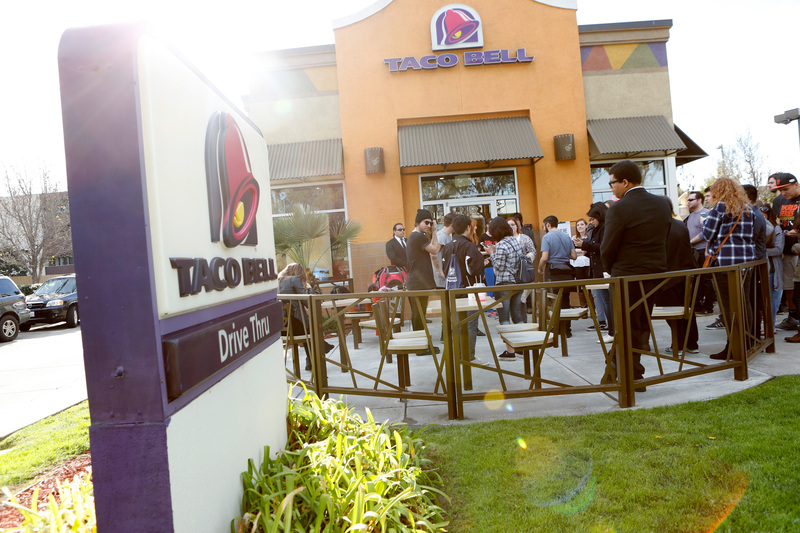 Taco Bell's newest creation isn't a burrito that has some kind of snack food inside of it. Instead, the Mexican fast food chain is serving up some fresh socks. You read that correctly. Taco Bell teamed up with clothing company The Hundreds to give you burrito, taco, and Mexican pizza patterned socks. I know what you're thinking: this day just got so much better. Taco Bell announced this collaboration last week on Twitter saying "this is not a drill" just to add to the hype. And boy did it work. The socks, which come in brown and black, feature all of your Taco Bell favorites. Chalupas, tacos, nachos, oh my! Here's a close-up of one of the patterns Taco Bell tweeted last week. The spicy feet warmers aren't available to the public yet, but some lucky people got to snag them at exclusive restaurants and the SXSW festival. Lucky stiffs. In the meantime, all of you Taco Bell superfans will just have to hold tight and wait patiently while these socks are mass-produced. Because we all know these are going to sell faster than the Doritos Locos Tacos. And yes, I just went there.